This was developed by Ruben Puentedura, and looks at ways in which digital technologies can be used to enhance or transform practice. 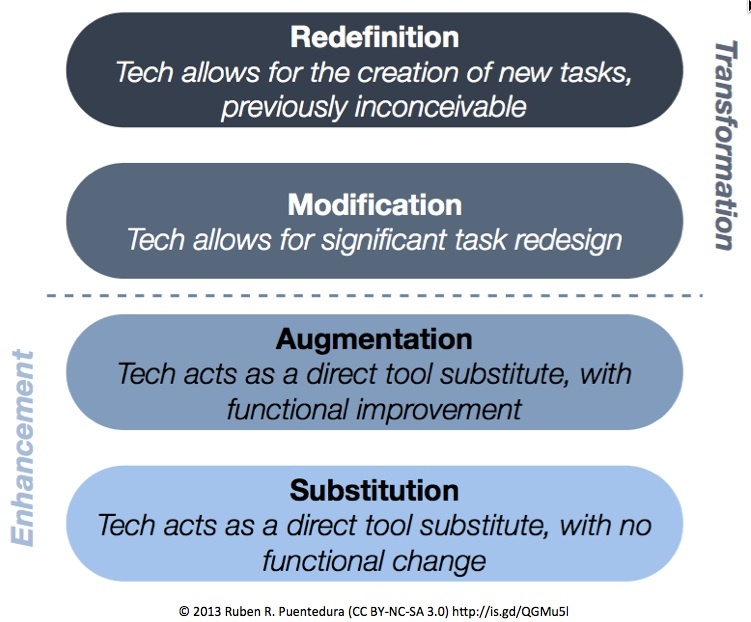 The SAMR Framework looks specifically at the impact of digital technology use. 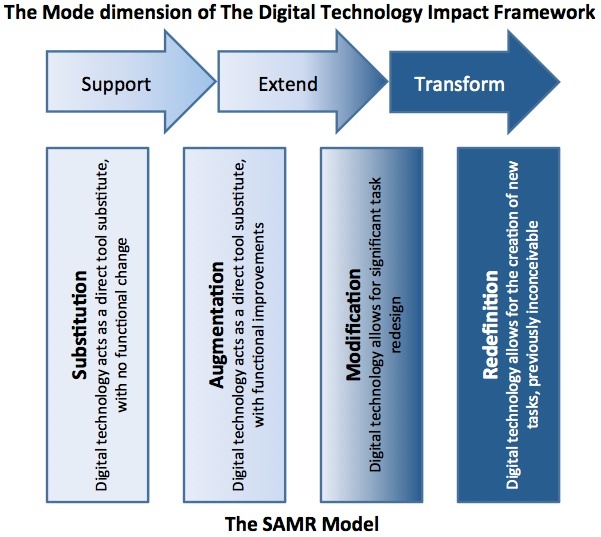 It maps onto the Mode dimension of The Digital Technology Impact Framework, as shown in Figure 2. Blog post with links to lots of info about SAMR and presentations by its creator. This page was last modified on 5 October 2014, at 08:55.